The OECD Programme for International Student Assessment (PISA) examines not just what students know in science, reading and mathematics, but what they can do with what they know. Results from PISA show educators and policy makers the quality and equity of learning outcomes achieved elsewhere, and allow them to learn from the policies and practices applied in other countries. 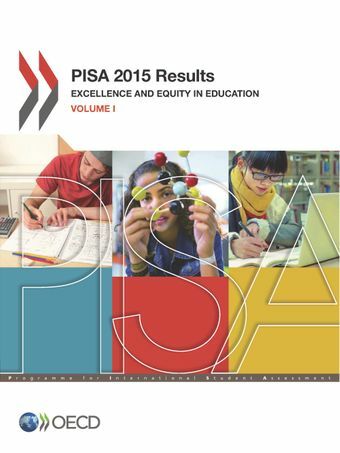 PISA 2015 Results (Volume I): Excellence and Equity in Education, is one of five volumes that present the results of the PISA 2015 survey, the sixth round of the triennial assessment. It summarises student performance in science, reading and mathematics, and defines and measures equity in education. It focuses on students’ attitudes towards learning science, including their expectations of working in science-related careers. The volume also discusses how performance and equity have evolved across PISA-participating countries and economies over recent years.